Hello, I have moved to Lanouée, nr Josselin and was told by Orange that I have to pay around 1000 euros to have a line which I find quite incredible. 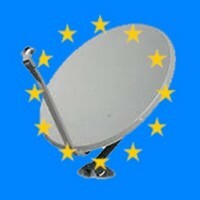 I was wondering if anyone has internet via satellite and if so which one they use (Canalsat, Tooway, Nordnet...) and is it reliable. I think it's the only option open to me. Any help on this will be immensely appreciated. Thank you. So with nordnet you get 5GO less but phones included. When we moved the previous owners had orange phone and Internet for years but typical when we move in we had issues with orange and it would not connect . 10 engineers later and a lot of arm crossing , head scratching and tapping at boxes (that was orange not us ) they told us there was an issue .......no s**t Sherlock !! It was a nightmare as we rely on the Internet for our uk businesses and eventually told that they wanted to dig up our 200 metre driveway as they THINK (I say think) the issue was underground !! No way I thought so we spoke to Bart who has done a lot of work for us and he was so helpful and on a bank holiday saved our bacon and supplied us Tooway . It has been a lifesaver for us and yes it cuts out every so often but we have extenders through the house and it works a treat . Having no landline has been a pain sometimes but we have Skype and also our Apple phones are all connected through the Internet so we get calls no problem and can make calls . It can be frustrating when signal drops out but when you end up weeks if not months waiting for orange to diagnose an issue that has never been an issue before there was no choice for us . We also have a mobile dongle we take with us on the boat etc as our jobs need Internet access at all times and we think we have it all Sussed now . Thanks to Bart I think we would of been hairless otherwise ! Thank you for all the replies, very helpful to me. I will contact Nordnet as I need a phone as well and possibly Tooway to compare their offers. Thanks again. I noticed that avonline is a euro dearer than nordnet but you get 5GO more per month, tinabee does this include phone in the monthly charge or is phone extra. We use nordnet, I chose nordnet because they will rent you the gear, other companies prefer that you buy the kit from them and its not cheap, have never had any issues with speed or loss of signal, the only main problem is you have usage limits, unlimited 24 hour usage is quite expensive, we have 20GO per month, unlimited between eleven at night and seven in the morning, telephone included which does not include free calls to the UK, they supplied the whole kit including all the diy instructions, their add also says includes TV but its just an LNB which attaches to the same dish and you need to buy your own French freesat box although there are a shed load of free German channels, one day whole planet will be covered by sat WiFi but no one knows when. There are 2 products available for domestic satellite broadband, SESbroadband (from Astra) and TooWay (from Eutelsat). It doesn't matter what reseller you go to they will supply one or both of these products. Current advice from at least one reseller is that SES should not be recommended in Brittany so that leaves you with TooWay, which is a way better product anyway. There are suppliers, Nordnet for one, that will provide you with a phone system that runs over the satellite connection which is OKish. As far as reliability goes it's pretty much bomb proof so long as it's correctly install, the only issue as with satellite TV is torrential rain will knock it out either here or at "the other end"
Is there no phone line to the property?